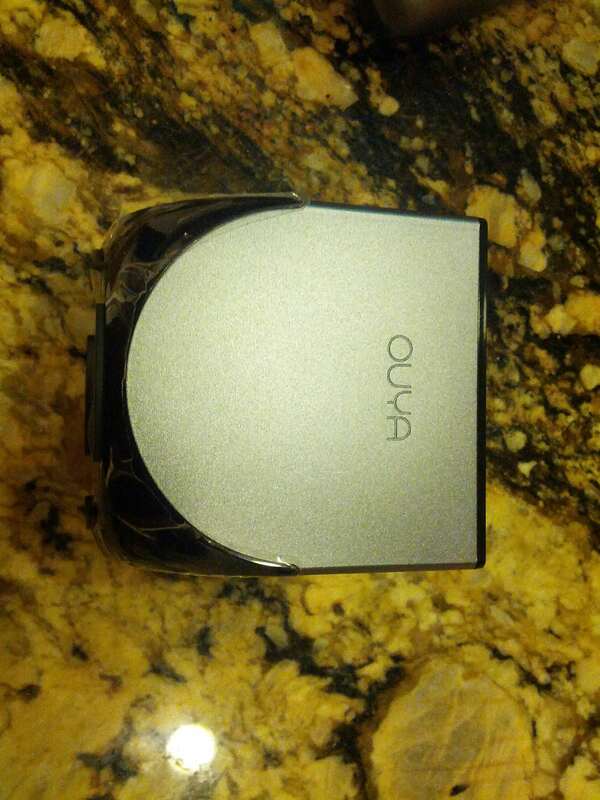 As some of you probably know and/or were involved there was an kickstarter frenzy a while back called the OUYA. The team raised a whopping $8.5 million dollars on kickstarter and caused quite a stir in 2012. Fast Forward to today and over half the units have been shipped to their respective backers and the remaining are coming out fast. Not something commonly seen in the world of kickstarter where delays should really be expected by now. I’ll start this mini review going a little over the physical design. The console itself is very basic and to the point. 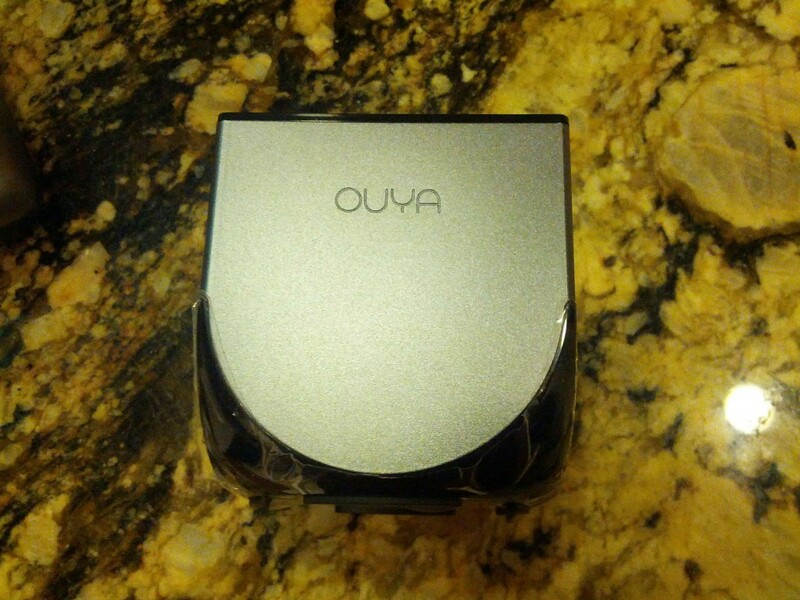 The unit is a black cubed shaped with a some beveling on the bottom corners. A simple power button in the top middle powers it on with all your standard connectors in the back. it easily fits in your hand at about 3 inches cubed. It looks clean and to the point. The size of this console would make it very portable to take with you. Basically the same layout as the xbox 360 with the addition of a touch pad in the middle and one battery goes int each of the handles. 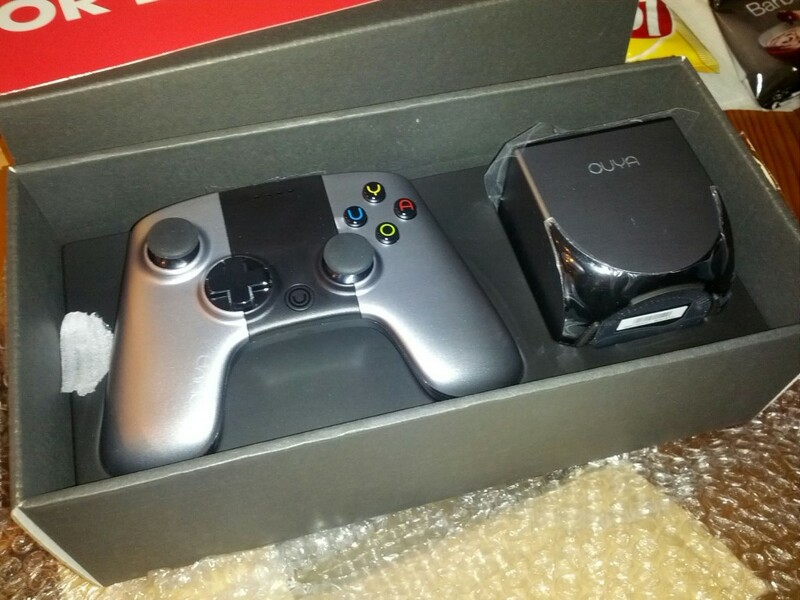 When I first saw the controller I was excited. it looks nice and sleek. 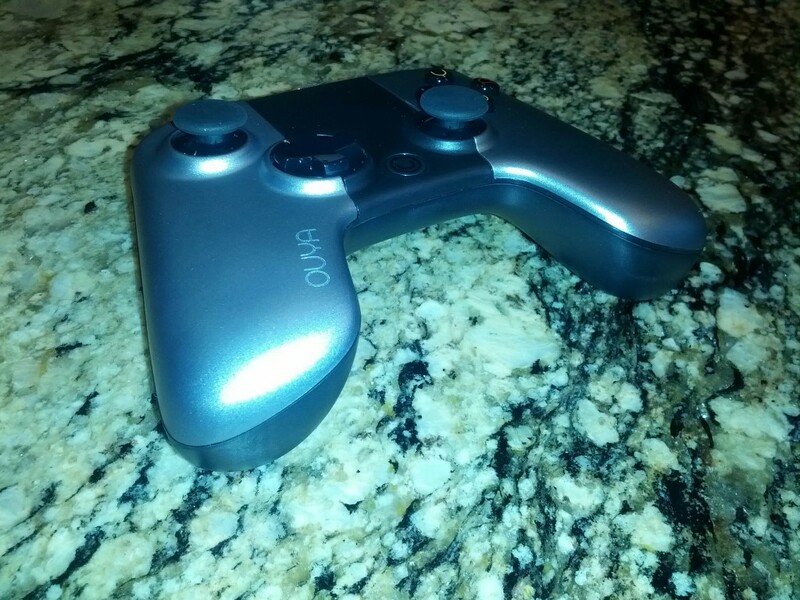 It has aluminum hand grips with black trim. It looks gorgeous. Its performance does not match its appearance. The palm grips don’t want to go back into place after a battery is inserted. They are a friction fit and very little interference causes them to stick out. The buttons also have issues. Even if you do get the palm rests down all the way the action buttons will some times stick under the faceplate. I don’t have to tell anyone how frustrating it is to die because the buttons stuck in the controller. The dpad seems to randomly miss inputs from time to time. I am hoping that it is a software glitch that can be easily patched due to it be intermittent. That’s it for tonight. I will have a review of the software up soon just want to play with it some more and check out more games. I am having a lot of fun with it. lots of retro style games! Until next time.